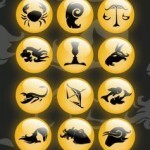 Reading the daily horoscopes is something really common for a lot of people today, but if you are just starting in the reading of the horoscopes and you want to know something more about the messages that you will read in the horoscopes, here you will be able to do so. The predictions of the horoscopes are taking through the observation of the stars and the analysis concerning their positions. This study is made by the astrologers and, with it, they offer us messages that talk us generally about the influence of the planets in our lives according to our signs. If we talk about the messages of the horoscope, you need to know that in them you will find warnings for the day concerning important aspects of your life. Knowing and not forgetting these warnings, you will be able to skip problems that can come to your life. But, as the horoscopes can talk about the difficulties that can come out, you need to know that these messages also advise us about the positive situations in our lives so we can take advantage of them. In the same way, you need to know that each of these messages is generally accompanied with an advice or recommendations that are included for each of the signs and that will allow readers to develop and live better. As you can see, the messages of the horoscopes are very complete and very beneficial.